﻿It’s time to bid farewell to Sweet Safranbolu and return to Istanbul. As it’s also time to give up the rental car – you don’t want to drive in an 18 million person city – what could we do to take advantage of having a car today? 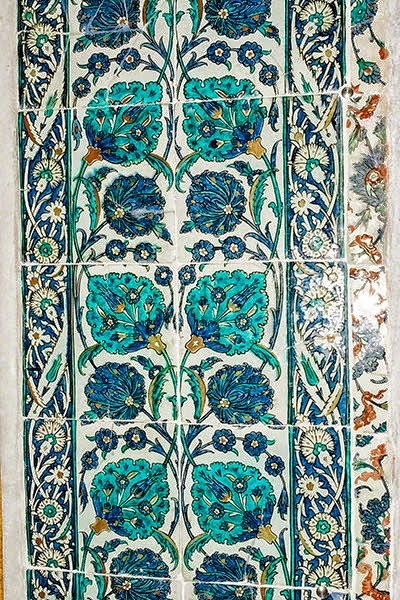 One possibility was to visit İznik with its famous historical tiles. 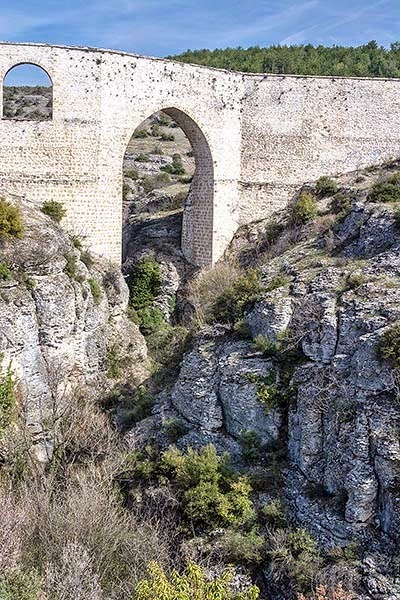 It’s the only city that is still enclosed by 5 km of 10 m high, original Roman wall. 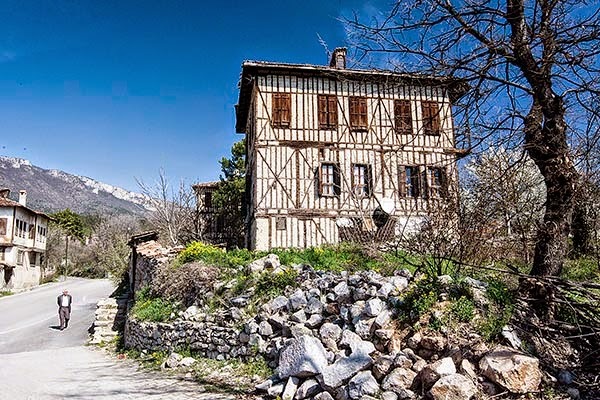 But it is a considerable distance west of Safranbolu as well as south off the main highway. Moreover, it probably needed more time than we had. So we opted for the İncekaya area close by our guest house. 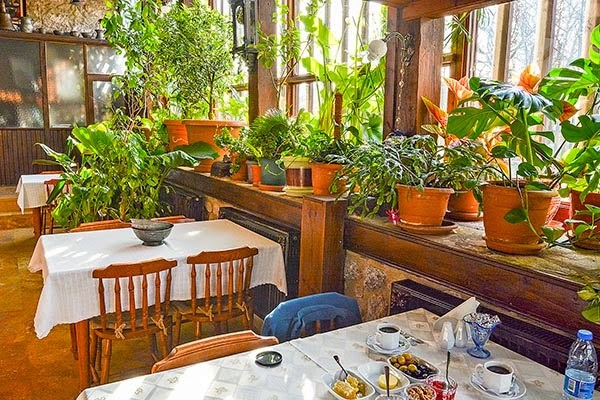 What better way to start the morning than to spend a relaxing time eating a great breakfast at our Raşitler Bağ Evi pension. We talked about the changes in Turkey over the last 30 years; the conflict of values between the young urbanites and their conservative countrymen; the contrast of clothes between jeans and niqabs. 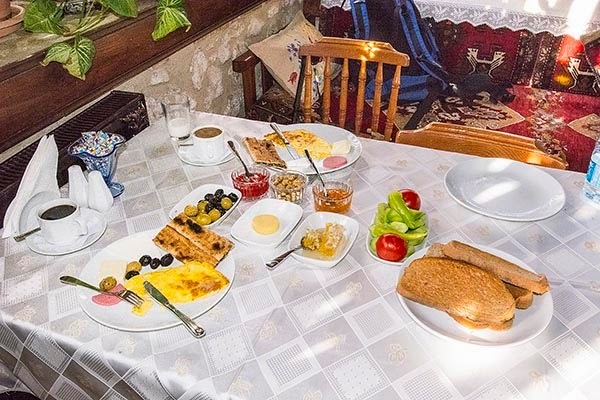 All the while, we enjoyed an omelet with yummy olives, scrumptious white cheese, tomatoes, and toast topped with delicious homemade jams and addicting Turkish coffee. After breakfast we got lost by heading northwest along the edge of the mountain. There were pleasant views but eventually the road came to an end. On the other hand there were Ottoman houses to see along the way. We doubled back and figured we had to head northeast (left) once we got to İncekaya Caddesi – that makes sense, follow the road with the same name. After passing through the village of İncekaya, we ignored the first sign for pay parking and were able to drive right up to the viewpoint (no charge). This may be because it is low season. 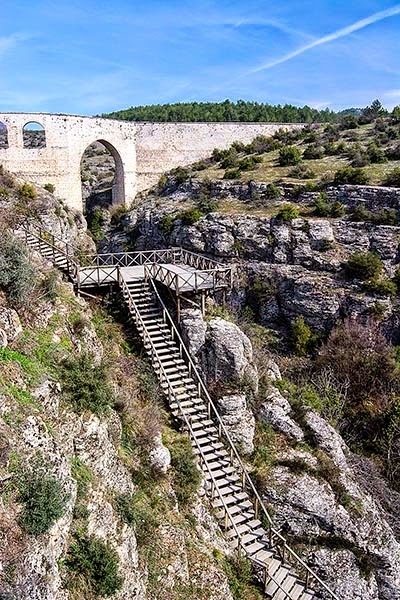 Suddenly there are dramatic views from the overhanging platform of 60 m high, arched aqueduct. It looks as good as new but dates from Byzantine times. Okay, it was restored in the 1790s by İzzet Mehmet Paşa, who was grand vizier (prime minister). 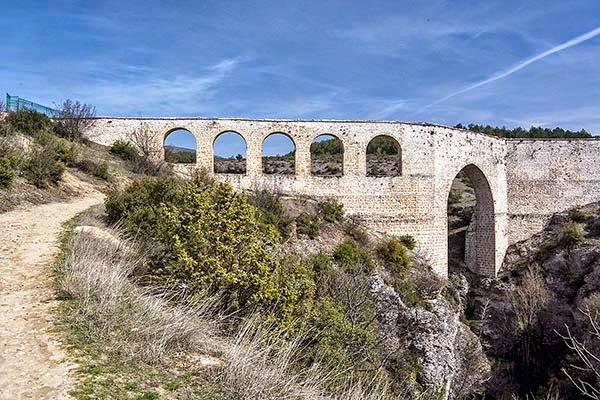 ﻿There is no public transport to the aqueduct (7 km from the centre of town) so without your own car you will either have to arrange a tour or taxi from Safranbolu. One possibility is to hike back to Safranbolu. 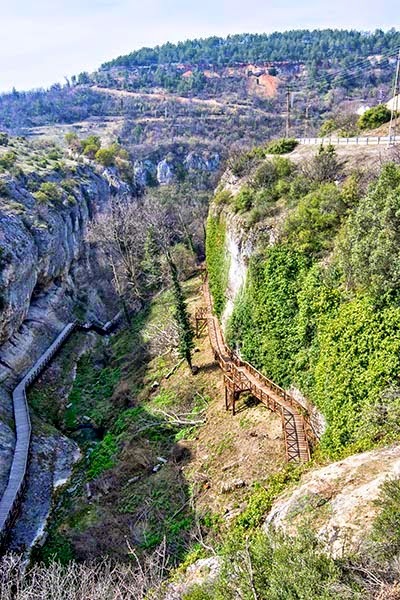 Looking down the stairs is 2 km hiking trail through Tokatlı Canyon. We had the place all to ourselves. After a short walk in this natural park since it was time to hit the road to Istanbul. Next Post: Grand Bazaar – Gigantic!